Saddle Up & Drive Alberta’s Cowboy Trail! Nestled between the Rocky Mountains and the Canadian prairie, in the high ranching country of Alberta, is the historic Cowboy Trail. This scenic route along highway 22 through Canada’s Rocky Mountain Foothills features horseback trail rides, farm and ranch vacations, guest ranches, western themed attractions, accommodations, adventures, historic sites and western themed shopping. 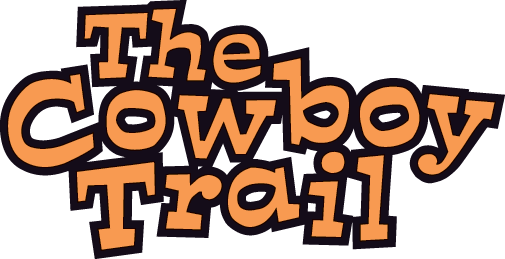 For updates on what is happening on the cowboy trail, check out our calendar page or visit our facebook page which has updates from operators, images, videos and events along the trail. This 700 km stretch of pavement is the source for western vacations and adventures. Stay at a guest ranch or working ranch at one of our farm and ranch vacations. 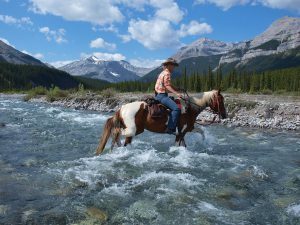 Experience a horseback trail ride or pack trip with an outfitter into some of Alberta’s prettiest country. Take in a rodeo, festival or a pow-wow for a day. Visit one of our many world class attractions. Stay in a western hotel, motel, or pristine wilderness campground. From Cochrane or Longview you can turn west into the heart of the Rocky Mountains to experience Kananaskis Country or Banff National Park. Expect to be overwhelmed by the rugged mountain scenery and the pristine wilderness literally at your doorstep. To experience the real west, please contact any of our preferred suppliers on this web site. For custom travel arrangements, one of our specialty Tour Operators would be pleased to assist you. Book a professional outfitter or guide and experience a trail ride into some of Alberta's prettiest country. Whether you want a one-day horseback ride or a multi-day pack trip, these talented and knowledgeable professionals will make your outing safe and enjoyable. From western museums to frontier towns, The Cowboy Trail has a number of partner attractions with an amazing amount of things to do and see.